The Socks for Little Wizards is a versatile sock pattern for children aged 4-6 years. 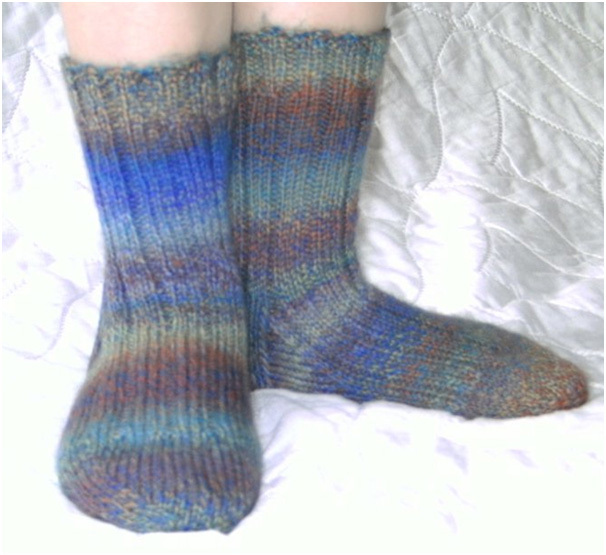 They can be knitted as ankle or knee-high socks and look great in a plain or self patterning sock yarn. They’ll keep young warlocks, witches or house elves feet warm throughout winter. To see what others have made from this pattern, please visit the Socks for Little Wizards pattern page on Ravelry. If you have a little witch please look at Ann’s other pattern for p/hop here.